Snack foods are now ever-present all over the world; hence a lot of corporations compete to capture their share of snack food market. To survive in this throat cut business, having the appropriate snack food packaging is of great importance as product safety and visual appeal of the product are paramount. 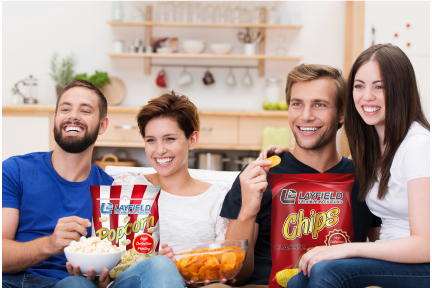 We at Layfield are well versed in this market and can offer our clients snack food packaging material of uncompromising quality, which strictly adheres to the exacting requirements and needs of our valued clients. Our airtight & moisture-free packets not only preserve the flavor, freshness and quality of preservatives used in these snacks but also lend the products a visual appeal with our offering of high-end flexographic printing.